Western Adventure on Two Wheels! Escape from the mundane ventures of daily routine. Beg, borrow — or if you have your own — opt for an all-terrain or mountain bike as the route encompasses both city and forested trails. The terrain you cover may not exactly be like the Tour de France, but it’s enough to help you build up a good sweat. The scenic 20-km cycling trail of the Western Adventure Park Connector Network (WAPCN) is basically a loop around the Choa Chu Kang, Bukit Panjang and Bukit Batok area. 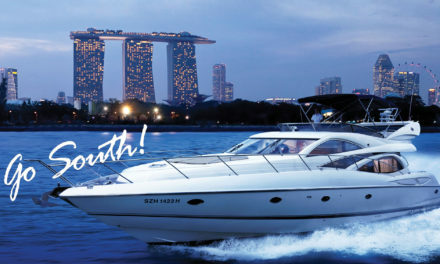 The ride guarantees you many precious moments of leisure in the lap of nature and a string of highlights which you’ll discover in the eight parks it links up with, in this part of Western Singapore. The trail allows you the leisurely jaunt of a hop-off-hop-on tour because you can hop off and enjoy the sights along the way and then hop back on your bike and head out to the next point on the trail which networks with the Nature Trail at Bukit Batok Nature Park, the Bukit Panjang Park Connector, Zhenghua Park, Dairy Farm Nature Park, Singapore Quarry, Wallace Centre, Bukit Batok Town Park’ and Bukit Batok Nature Park. Mapping your way from Bukit Gombak, Choa Chu Kang, Bukit Panjang, into Zhenghua Park, Dairy Farm, Hillview and back to Bukit Gombak, you can take several detours along the trail. Parking hubs are scattered along the trail for the convenience of those drivers who will be transporting their bikes to the WAPCN trail. The Western Adventure Park Connector Network trail takes off from Zhengua Park to Dairy Farm Nature Park, Hillview Park Connector, Bukit Batok Nature Park, Bukit Batok Town Park and ends up at Bukit Gombak MRT. You can, of course, start your cycling journey from anywhere along the trail, but a good place to use as a base and starting up point is Chu Kang Park, conveniently located in close proximity to public transport, a car park, toilet facilities and a food centre. You can whiz past or stop for a breather at the quirky ‘mini zoo’ at Limbang Park with its stone statues of the 12 traditional Chinese Zodiac animals. The trail on the Pang Sua Park Connector is one of great bio-diversity and you may even cross paths with some animals. The foliage is glorious here – just take a deep breath and feel the adrenaline rush. The forested area attracts a lot of avifauna making it a popular bird-spotting hotspot. The latest attraction, which is a major draw for butterfly buffs, is the lovely community-based self-sustainable butterfly garden which has 16 butterfly species. Along the way is a fabulous range of biodiversity – over 550 species of trees and a record of sightings – 50 different species of birds. Other excellent birding-spotting along the trail are Bukit Panjang Park Connector, Zhenghua Park and Bukit Batok Nature Park. There are great photo-ops all along the trail. At Ten Mile Junction, which is exactly 10 miles from South Bridge Road, you can stop for supplies and then head off for Bukit Panjang Park Connector which offers some truly pleasurable moments of cycling as you follow the trail from the Bukit Panjang Park Connector to Zhenghua Park. Do stop by and check out the interesting Bukit Panjang Community Garden you’ll discover lovingingly tended by the locals, along the Zhenghua PC. Savour the sights by the little stream running along the Bukit Panjang Town Park. It’s quite popular with picnickers. Views unfolding along the trail at Zhenghua Park Connector are two-fold: the cacophonous urban sprawl one side and the tranquil surge of the natural landscape stretching out as far as the eye can see on the other; so off you go, roller-coasting all the way to the undulating terrain of Dairy Farm Nature Park. 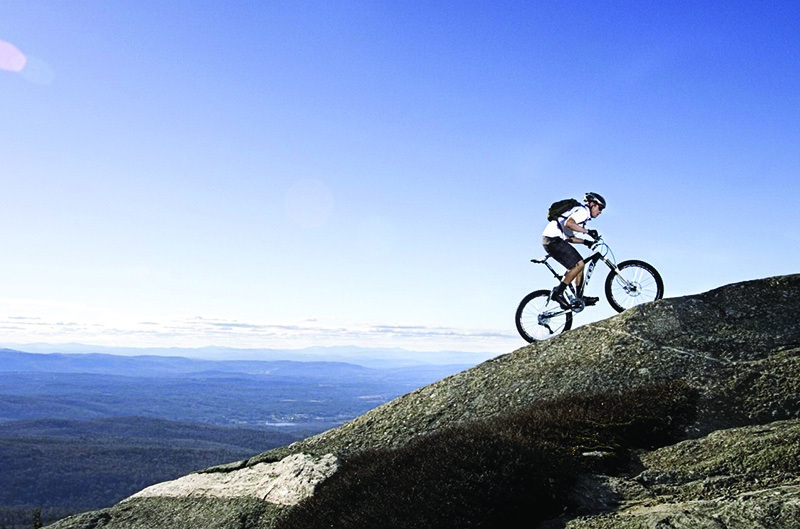 The terrain here makes it a mountain biking hot spot. The Bukit Panjang Plaza has an array of tempting eateries with multiple cuisines on offer. The hill get steeper and you might end up pushing your bike and gasping for breath. Expect to get off a couple of times to maneuver those steep bends. The hill trail gets even steeper and narrower, especially when it catches up with the Dairy Farm Nature Park. By the way if you’ve got kids with you the Zhengua Park has a children’s play area where they can hangout, while you just chill. You’ll find other bikers bowling along the tree-lined asphalted tracks, but there also walkers and joggers enjoying this park. The mountain biking trail at Zhengua Park runs out into the pelt of forest cover in this hilly terrain. It’s tough and steep and you might end up pushing the bike up rather than riding it. The terrain around the Dairy Farm Nature Park is a serious challenger for the serious cycling buff. A mountain bike is perfect here, for some really memorable thrills. You’ll find those unused leg muscles creakily opening up as the terrain gets even more challenging. This part of the trail also offers multiple trails of varying degrees to be found within the Bukit Timah Nature Reserve for the serious biker to explore. Do remember that it’s important to adhere to the guidelines set up for visitors in the reserve. Stop by at the Wallace Education Centre, which throws light on the varied terrain of the region. Alfred Russel Wallace, after whom the center is named, was a peer of Charles Darwin, and is famed for his work as one of the world’s top field biologists of the 19th century. The centre showcases some of the most important work done on species discovered everywhere from nature reserves to coastal areas in the island’s countryside. Another well-marked trail, which takes cyclists to the historic but now abandoned Singapore Quarry. The area is alive with avifauna and rich in insect life. This is the habitat of the rare endemic dragonflies, damselflies and the endangered Little Grebe. The Dairy Farm Quarry serves up some enticing rock climbing diversions for adventure sports enthusiasts. The trail now brings you up short at the Rail Mall where you can stop for coffee or pick up some supplies at the clutch of up market F&B outlets located there. There’s also Singapore’s first supermarket, Cold Storage Store, to explore. From here you can either head out for the Old Ford Factory, which is now a public museum exhibiting artefacts from the time of the Japanese Occupation, or, you can carry on cycling into Bukit Batok estate, which features the popular Bukit Batok Nature Park and Bukit Batok Town Park (Little Guilin). You’ll be cycling along Hillview Park Connector to get to the two parks fabled for the stunning panoramas of the quarry lake. From here you can see the vaulting rock pinnacles which offer a fantastic backdrop to this pretty lake. Picnicking families make a day of it at the lakeside at Little Guilin. The area has a walkway and benches scattered around to relax on. If you prefer being a bit away from the crowd just perch yourself on a rock and watch the ripples of the lake under a benevolent sun. You’ll love being in the serene and scenic environs of the Nature Trail at the Bukit Batok Nature Park, which goes through a lovely forest full of silences and deep beauty. Huff and puff your way up the incline to the World War II Memorial at the top of the hill. Its dense canopy of trees shed dappled sunlight on the hilly tracks leading off in different directions. The park is beloved of hikers, joggers, cyclist and birders. 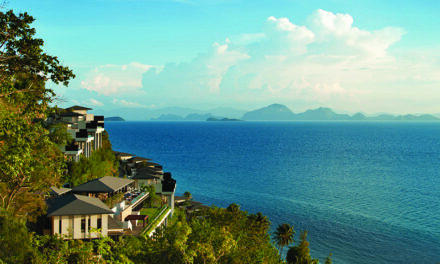 Picnics are de rigeur with holidaying families in these expanses. Once a granite quarry it now hosts a pretty pond backed by cliffs of granite. Overlooking the pond is a nice little plaza, dotted with wooden tables and chairs, with families enjoying themselves in the sun under the trees. Kids love it as there’s plenty of space to play games while dog walkers find it a restful place to spend time with their pets. Explore Tampines Eco Green and Bedok Reservoir Park; enjoy scenic views along Coastal Park Connector and dine at Changi Beach Park. Sweeping views of the Straits of Johor from the jetty at Woodlands Waterfront is a highlight with a nature trail at Admiralty Park; rich biodiversity along park connectors and scenic views of Lower Seletar Reservoir. Highlights of the this trail includes the Butterfly Garden at Pangsua PC; mountain tracks at Dairy Farm Nature Park; Wallace Education Centre (learning journey) and the nature trail at Bukit Batok Nature Park as well as scenic views at Jurong Lake Park and of Pandan Reservoir. The Choa Chu Kang Park Connector runs through a public residential area. Cycle carefully here; also watch for those traffic lights. Carry on south to Brickland and Choa Chu Kang Park Connectors to get back to the point where you began. In the course of your route here keep your eyes peeled for the delightful avenue lined with star fruit trees along Brickland Park Connector and the landscaped butterfly gardens at Choa Chu Kang Park connector. You can rest at Choa Chu Kang Park and if you’ve got kids they have a play area complete with a sandpit area; you might even find someone giving kids rollerblading lessons! For those who enjoy life slow paced there’s an equally pleasing alternative. You can hit the walking trail on the paths that connect the different parks and nature reserves … stopping and soaking in the star points of each area. For nature loving cyclists here’s an interesting titbit to pencil into your yearly calendar. The Singapore Garden Festival 2014 will take place this year. A garden and flower show, it will exhibit displays from all over the world. 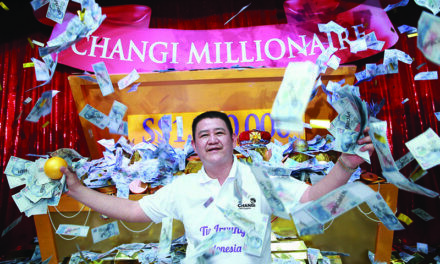 Indonesian Wins Changi Millionaire Prize!